I have to admit the very idea of home loss, bankruptcy, and the mere possibility of having to choose between paying the rent or eating, is kind of terrifying. Not the screaming pulling your hair out drama, but the deeply pushed down, remotely scary thoughts about life after foreclosure. Because that just gets way too close to the thought of “homeless”. Homelessness in America (and it’s as prevalent a problem in all industrialized countries where social safety nets are ripped apart) and lack of retirement income is an ongoing problem. Do you think you might be heading this way yourself? If so, I can help you with the scenario of a better future. Here is a way to get started learning how to increase your income as you get closer to retirement. Click through to that right now if you’re ready to invest time into a potential lucrative future. Even if you’re over 60, you can prepare for a decent future! Even if you’re living in your car. Or think you may be one day. I wrote that blog post over a year ago. I had no clue about the huge community of seniors living in their vehicles. “Homeless Seniors America” sounds like a club – one you don’t want to join! Losing a home and suffering the depressing follow up of bankruptcy isn’t the only reason a person ends up living in their vehicle. Death of a spouse, a bad senior marriage, unsurmountable medical bills…Life happens, and living so close to the edge does end up in disaster for some. But not you! 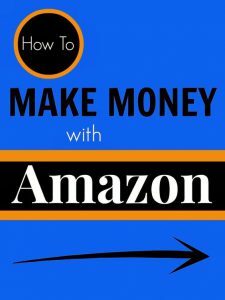 Any post on this site will tell you a different story, and give real concrete advice on how to make money with a blog. Even if you’re living in your car. The article below was written by Cassandra Black in 2009. Have home foreclosures stopped since then? No, sadly. “My life after foreclosure” is still a song being sung. The foreclosures crisis, job loss and a crumbling economy are forcing people to find shelter of a different sort. Some people are living in their cars, RV’s, and vans. In Seattle, Washington, an area that has seen an astounding 68% jump in homelessness, a study revealed seniors are part of the growing homeless population living in their vehicles. A National Coalition for the Homeless executive stated people who are homeless for the first time start out initially moving to cheaper accommodations. (But a survey by the National Low Income Housing Coalition revealed that even a one bedroom is out of reach for many full-time minimum wagers in the United States.) The next step for the first-time homeless person, after cheaper accommodations, is moving in with friends and family. The next pit-stop to homelessness is a vehicle: cars, vans and RV’s. But for those fortunate to still own a car, or who own an RV or van, communities and neighborhoods don’t want them. They are often stereotyped and seen as a growing nuisance. Vehicle inhabitants are awakened in the middle of the night by law enforcement asking them to move along. In high-tourist, oceanfront areas like Venice, California, the number of RV’s flanking the seaside streets has increased. Ironically, in many areas, the growing homeless population is made up of people who have worked most of their lives, and these vehicles are simply one step before the bottom: the shelters and the streets. The growing trend of people living in their vehicles is another result of a foreclosure crisis that has yet to hit bottom in some areas. But there is seldom mercy from the law for people who find themselves in a situation where their vehicle is the only viable shelter. It’s flat-out illegal in Los Angeles for people to live in their vehicles on the street, and areas like Fresno, CA, Albuquerque, NM, Sarasota, FL, Pittsburgh, PA, Atlanta, GA, and many others, have solid no-camping and no-sleeping legislation. Here is a video about a senior living in her car. Watch it! Wow, I am so impressed with what she’s done to rebuild her vehicle for living in. She’s a real handy woman and brave soul. 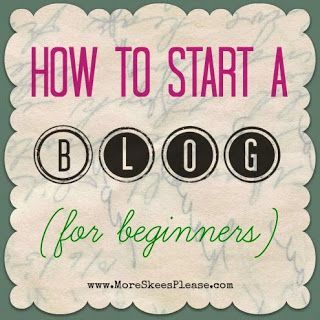 I wish she could find this site and start making money with blog writing and get ahead with some extra income. Click here for peek at a real classroom on how to do that! If I could I would drive out there and find her. Just to let her know there’s a lifeline if she’s so inclined. Here she is! This entry was posted in Seniors And Disabled and tagged my life after foreclosure. Bookmark the permalink. I have to agree with this day and age it really can be scary entering into retirement. With our cost of living on the rise it is forcing the retirees back into work. Which is where I think you are offering a option. Helping to give seniors more income without the manual labor. I think you have a great idea going on. Thank you so much. I have a friend who wanted to live her life on the road. She sold her two properties and bought an RV. 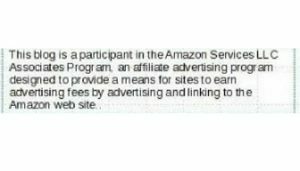 She looked into “workamping” (living in an RV area in state and national parks in exchange for the cost of parking, water, electricity, etc.). She did this for a while but found that she still needed more income to account for food, clothing and shelter that was not covered by her social security disability. She would take jobs in nearby eateries and so forth. She moved around like this, generally staying in one spot or another for six months. In one state she transfered her social security to, she was even allowed to own an old car, which allowed her to get out and see more of the areas around her. The one thing she did not account for was that in doing this, she had enough “income” (her workamping was counted), that she lost her disability income. She had researched where to stay and where she could “boondock” (stay for free without hookups) while she traveled from one place to the other. Longer story short, she ended up loosing her income while she was out west and she had to stay in homeless shelters on her way back east to see what she could do to rectify the matter. She would be the perfect candidate for starting a blog, particularly about her adventures on the road and how to do all that she has done, but I have been unable to get her to even talk to me about it. 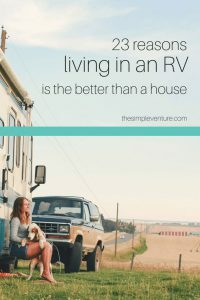 She could write about RV’ing or converting a van to life on the road. (She downsized int an excursion van which she converted to solar power.) Sometimes people just don’t see that they have a lot of life experiences that they could share with others who are either like them or who would like to be like them. Wow Anita – what a story! You’re right, she has plenty to write about from our perspective. It’s too bad she made “too much money”. One has to be calculating in those circumstances. She obviously has a lot of skill. Thanks for sharing her account. I know most of us bloggers would love to have that kind of material to draw from.